To commemorate this week’s 38th anniversary of The Empire Strikes Back, and this weekend’s release of Solo: A Star Wars Story in theaters, Dark Ink Art has released this fantastic new screen print “Energy Binds Us” by artist Danny Haas. The Blot loves the red and blue color blocking of Haas’ design, and the way hew s able to incorporate all of the film’s central characters. And let’s be honest, it never hurts to have Boba Fett in such a prominent position in any Empire Strikes Back movie poster! “Energy Binds Us” by Danny Haas is an 18”x24” hand numbered 4 color Empire Strikes Back screen print. 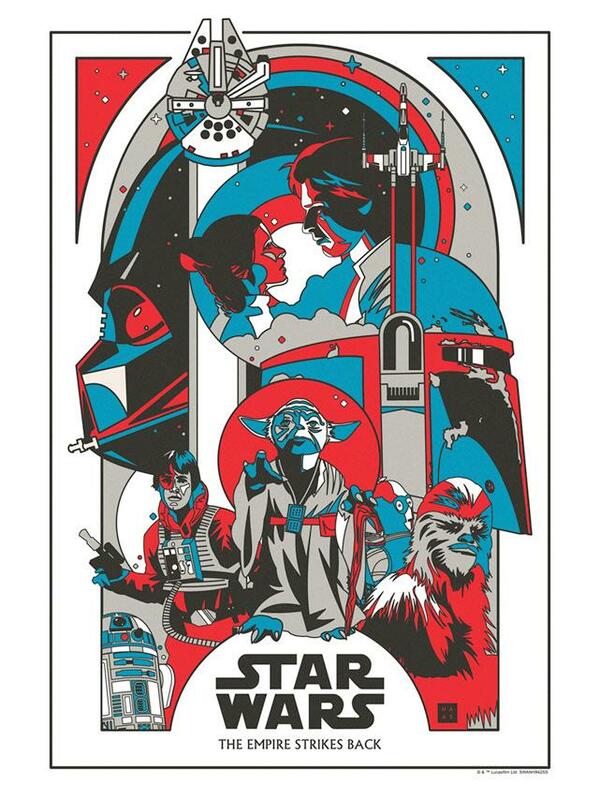 Limited to just 250 pieces, this Star Wars poster is available now at the Dark Ink Art online store for $50. For any purchases made during Dark Ink's Memorial Day Sale, which begins today, May 24th, at 12:01am PDT and ends Monday, May 28th, at 11:59pm PDT use code MEM2018 for 25% off almost everything in their online store!